At Goleen Harbour Farm we keep Connemara Ponies for breeding, Connemara’s are classified as an Irish Rare Breed and it is our aim to breed Performance foals but of old type breeding our foundation mare Kildromin Katie above is a great example of a true type Connemara, they are a hardy breed, easy to keep, friendly and light on the ground. Olive in the feature image is a Blue Eyed Cream, she too has great breeding and when put to a Bay Stallion will produce a Dun foal, the Dun colour (a sort of Tan) is not often seen any more and is sort after. 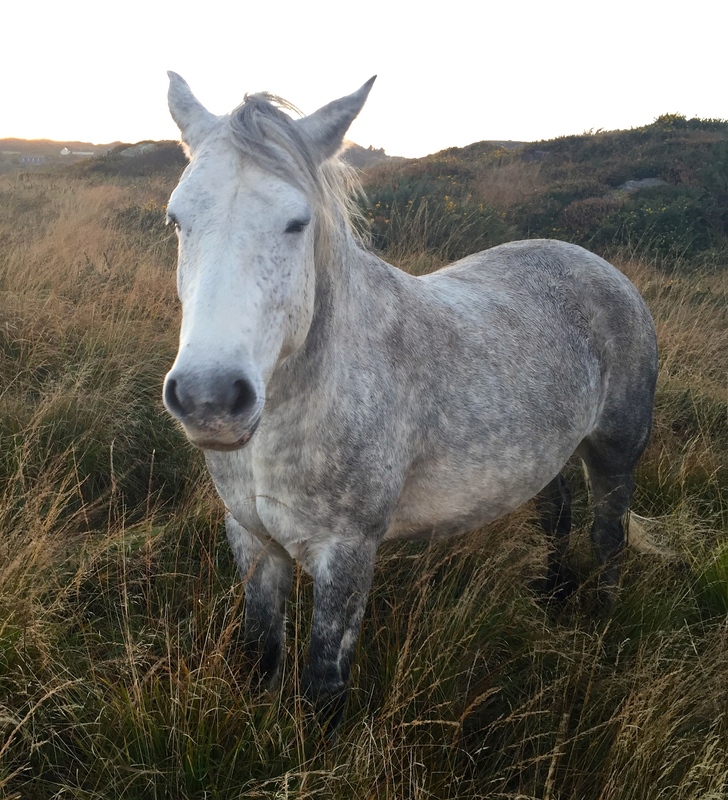 our 3rd pony Melon is also well bred, she is very friendly and could make a great pony to lead with children on her back, another possible activity for Goleen Harbour campers. The 3 of them will help graze down our SAC area to help encourage back the Chough a crow like sea bird fairly common in the area. As the breed comes from further up the Wild Atlantic Way in Connemara they should be at home here on the cliffs of Ballydevlin Bay and Goleen Harbour, West Cork.